Over a year after seeking an increase in rates for electric customers, Delmarva Power (DP&L) has agreed to a settlement that will actually see a decrease in electric rates. 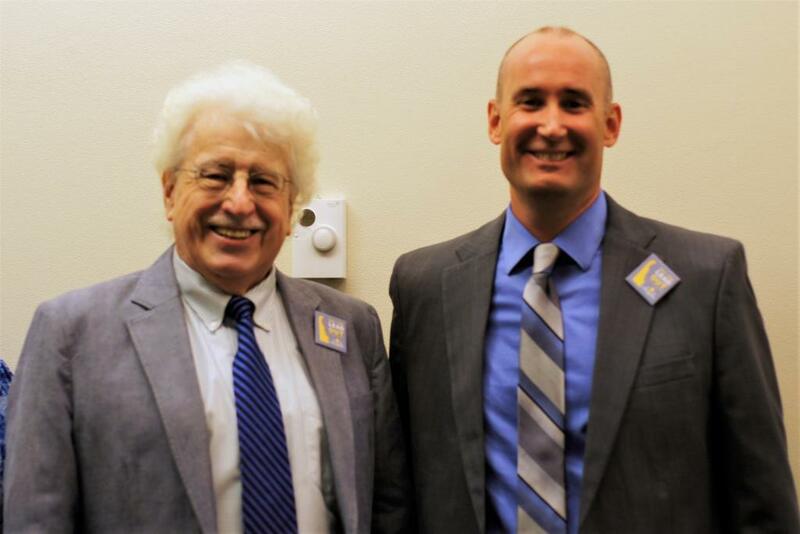 The successful outcome of this long fight was only possible due to the remarkable efforts of the Delaware Public Advocate, Drew Slater, who deserves my sincerest appreciation and respect. When Delmarva submitted this most recent request for a rate increase last year (PSC Docket #17-0977), I continued my practice of intervening in rate cases that are brought before the Public Service Commission (PSC) in order to mitigate the effects on DP&L customers. Public Advocate Drew Slater quickly responded with a petition to reduce utility rates as a result of lower corporate tax rates, and 38 of my colleagues in the General Assembly joined me by signing a letter in support of his petition. As a result of these efforts, the petition was approved by the PSC earlier this year, and last month, the PSC formally adopted the settlement to decrease electric rates. This settlement represents a comprehensive effort by all the parties involved. The originally requested $31 million increase will now be a $6.85 million decrease, with an average savings of $15 per year for the typical customer. Within the next few months, Delmarva electric customers will see several new lines on their bill to reflect these savings, including two one-time credits and two longer-term savings. You can call the PSC for questions about these particular changes at (302) 736-7500. I want to extend my deepest gratitude to Public Advocate Drew Slater, who fought so hard for this success. Mr. Slater is one of the most dedicated, honest, and just advocates on the public’s behalf that I have known. I also want to thank the PSC commissioners and staff, Representative Kim Williams and the other legislators who joined me and Mr. Slater, all members of the public who wrote to the PSC, and all the other individuals and groups who made this possible. This truly shows the change we can make when we work together. Now we can move onto new challenges. I expect good news in the matter of PSC Docket #17-0978 (the application of DP&L for an increase in natural gas rates) that will result in savings for natural gas customers. However, as I said in my testimony at the PSC hearing for the electric rate settlement (posted below), I would like any and all suggestions on how we as a State can extricate ourselves from the Bloom Energy surcharge contract. This major corporate subsidy has failed to produce the promised jobs but will continue to burden our State until 2033 at a cost of tens of millions a year from Delmarva customers unless we do something to stop it. Once again we must work together to find a successful solution. Below are my comments from the final public hearing on August 21st when the settlement agreement was adopted in PSC Docket #17-0977. 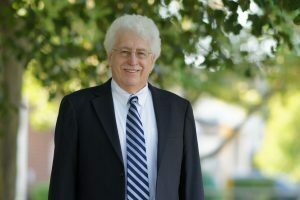 Rep. Kowalko: Thank you, Mr. Chairman. First, I want to say, I’ve been to a lot of these. I’ve been an Intervenor. I really want to say, my heart is swollen with pride for this group for Staff, the Hearing Examiner, for DP&L, for the Public Advocate’s Office. I waited a long time to be able to show some sense of accomplishment to my ratepayers and constituents, other than just being a defensive advocate. I tried to keep the rates in check. This is really positive news. I also want to welcome my good friend, Raj Barua, and congratulate him on his appointment as Executive Director. I really appreciate the hard work put into this. I really appreciate Mr. Slater and his efforts throughout this whole thing. And we sort have been in contact. I wasn’t trying to influence him or him me. But he certainly had more good things to say than I could come up with. I want to especially congratulate Mr. Goodman for a job well done in this matter. This is very important that we show the public, and I believe the Public Service Commission understands this, that we show the public their interests are first and foremost. So I just want to congratulate everybody. I also want to say for the record that I am open to any and all suggestions. My cell phone number (302)-547-9351. And to any suggestions, this may be out of order, how we can extricate ourselves from the Bloom surcharge contract. I know that is nobody’s fault here but mine and the rest of the Legislators that passed that bill. But if you have a suggestion, come to me. I will absolutely consider it. I mulled over many. It’s not a part of this case. There’s certainly not anybody in this room to blame except myself. So I want to thank you all for working on this case and doing this for the ratepayers. And it is a good day for Delmarva ratepayers and for the taxpayers of the State of Delaware. Thank you. Chairman Winslow: Okay. Representative Kowalko, thank you very much for your comments. They are appreciated. I am sure you did notice some of the items that are going to the benefit to the consumers in this particular matter are probably a result of the merger. Also, I want you to know that this Commission acted immediately on the distribution planning, which is something you’re very interested in. And we’ve already opened a docket. And we’ve already had a first public meeting or hearing workshop on it. And another one is scheduled for the beginning of September. You are welcome to attend. We’re going full speed. As Mr. Slater and I mentioned when we last saw you in a different room, that is going forward very quickly. And, hopefully, in a very positive way. So I think more good news is going to be coming your way. I just want to say, we don’t get too many Representatives or Senators to stop by to say hello. So we do send back our appreciation for your attention. Sometimes we don’t necessarily like exactly what you say, as you know. But we understand your role. We appreciate your interest in our organization and all people that interrelate with it. And we wish you well. And thank you for your input, sir. Rep. Kowalko: And I thank you back, especially about distribution planning. That is good news to know that we are not going to just use that as a cover plate. We are actually doing that. Thank you.